James was great. He arrived punctually and was unfailingly polite, went about doing a routine boiler service quietly and efficiently and at one point called me in to the kitchen to show me how to check and fix the pressure - this is one of the most common reasons he gets called out, and it's so easy to do yourself. It will save me ££ in the future, so it was a really generous thing to do. His fee was competitive (I checked three different local WTT and they all came up with the same or very close) - I would recommend him in a heartbeat. We needed to replace a conventional boiler with a combi boiler so requested a few quotes from local tradespeople. James explained our options clearly when he came round to inspect our old installation. The quote from Eco Elite was some way cheaper than the competition and was properly itemised so that we could break down the price, so they got the job. The boiler replacement work was undertaken in a single day; following an eight o'clock start James and the team finished by five in the evening. All the workmanship was tidy, the team cleared up after themselves and took care of disposing of the old boiler, hot water storage tank etc. They also took care to sheet up the house. Once finished James explained the working of the new boiler. This came in very useful, Although the new combi is straightforward enough to operate, it is best to understand how to re-pressurise it as tasks like Powerflushing the heating system (which requires the system to be emptied and refilled several times) can leave air trapped in the system and lead to a consequent loss of pressure. As our existing radiators and heating system was full of muck James returned to Powerflush our system a few days after the installation. This work was undertaken effectively on a Saturday morning. In summary I would certainly recommend Eco Elite Heating Company to undertake boiler installations. 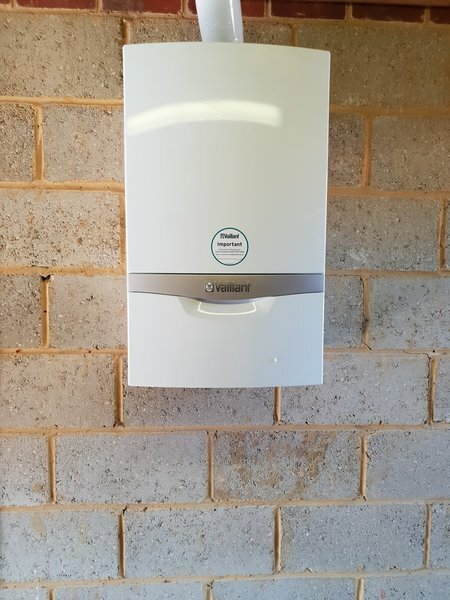 I was very satisfied with the work that was done on my boiler, and that the above company knew what they were doing, it was done to the agreed schedule and price. I will go back to the above company for a full service in the summer of 2019. James was brilliant, when he came to quote he explained everything brilliantly, gave us clear idea of what work entailed. Also told us about the lead piping that we hadn't known about! Work was carried out within a couple of weeks which was great and the team worked extremely professionally, kept us updated about everything and left it all tidy at the end! Very very happy and would recommend anytime. 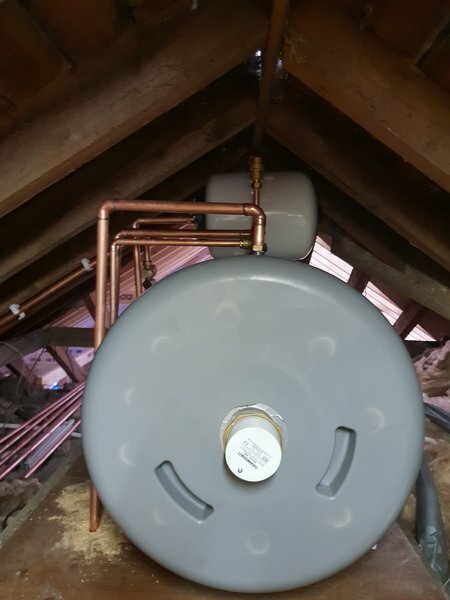 The work included installation of a new gas boiler, hot water cylinder, pump, controller, room thermostat and two new radiators. It was undertaken between 8am and 5pm. They arrived on time, the work was neatly done and the new heating system works well. The plumbers were polite, knowledgeable and helpful in providing advice. A new Valliant boiler was fitted very efficiently and professionally. I am very pleased with the service provided throughout, and the end product. I would use again. James and his team installed our new boiler. They arrived on time and they carried out the work very tidily and professionally. The price was very good, and he even installed our thermostat within the agreed price. Very reliable company. Highly recommended. I contacted James on the weekend and as he was working in Sidcup the next day squeezed in a gas safety check and boiler service at my Sidcup flat. As a landlord I rely on trusted tradesmen. James is very reliable and offers sound advice and no pushy sales banter. I will definitely use James to undertake boiler service/GSC for my home and rented properties in the future.